Synchronised beating heart cells derived from human skin cells have been successfully developed in a new innovative initiative between NCRC and the Regenerative Medicine Institute (REMEDI) at NUIG. Using stem cell technology, the team in REMEDI has shown that skin cells can be transformed, or reprogrammed, into beating heart cells in a petri dish. This is the first step in an ambitious project to develop stem cell models of heart disease associated with unexpected sudden death. With an NCRC Innovation Grant awarded to Dr. Terry Prendiville, Consultant Cardiologist at OLCHC and PI at NCRC, and co-funding provided by REMEDI (NUIG), the new partnership set out to establish initially if beating heart cells could be developed from a skin biopsy in the lab. They succeeded, and were the first in Ireland to grow these cells. The overall purpose of the research is to investigate the causes of unexpected, sudden death from inherited cardiac conditions in young people, and to help test therapies that may reduce the risk of sudden death in survivors and relatives. 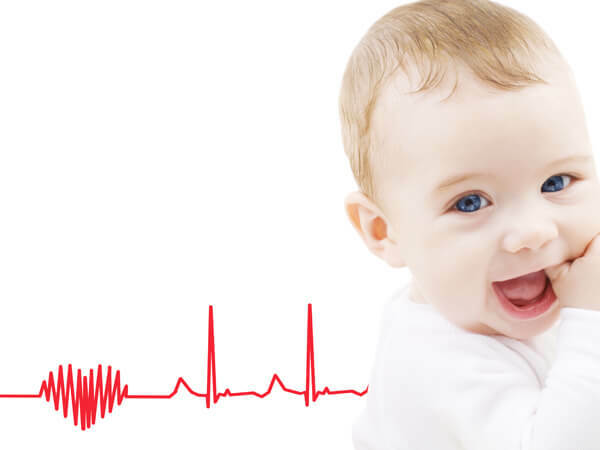 The understanding of the genetic basis of inherited cardiac conditions, such as Long QT Syndrome, has improved our understanding of the mechanisms of the disease. However, living heart cells cannot be studied outside the body, and this limits the research on mechanisms involved. With the success in reprogramming cells from a patient’s skin biopsy to become beating heart cells, scientists and clinicians now have a potential replica of patients’ heart tissue in a laboratory dish. The stem cell research, led by Professor Timothy O’Brien, was carried out by Dr Sanbing Shen, Professor of fundamental stem-cell biology, and post-doctoral researcher, Dr. Min Liu, at REMEDI NUI Galway, in collaboration with Dr. Terry Prendiville. Building on the success of the initial feasibility study, the group then leveraged additional funding in a joint scheme between NCRC, REMEDI and the Irish Research Council, to further develop the project. They are now recruiting affected families with Long QT syndrome through the National Inherited Cardiac Conditions service, which is delivered across the three campuses of Our Lady’s Children’s Hospital Crumlin, Cardiovascular Risk in the Young at the Adelaide and Meath Hospital, and the Family Heart Screening Clinic at the Mater Misericordiae University Hospital in Dublin. Skin samples will be taken from affected individuals and closely related, but unaffected, family members to allow a comparison between normal and diseased heart cells grown from skin. This will allow researchers to study electrical conductivity in the normal and diseased heart cells, which when faulty leads to the arrhythmia underlying the disease. They will also be able to test candidate drugs for their ability to correct the arrhythmia. Having heart cells from individual patients will also allow a clearer understanding of each patient’s disease, and the personalised analysis of response to drugs. The most ambitious aspect of the project is their aim to use cutting edge genetic engineering technology to attempt to repair the underlying mutation in the cardiac cells.